A+ FCU partners with local Scout troops to teach young people how to take charge of their financial future. Since 2010, A+ FCU has helped more than 600 Boy Scouts earn a personal management merit badge, which is a requirement for Eagle Scout designation. The credit union also offers a financial literacy for college and career planning program for local Girl Scouts. Eagle Scout is the highest designation available to participants of the Boy Scouts of America. Since its inception in 1912, more than 2.5 million young men have earned this rank. To achieve the designation, scouts must earn 21 merit badges from a variety of available options; however, the program requires aspiring Eagle Scouts to earn 13 specific badges that range from cooking to first aid. 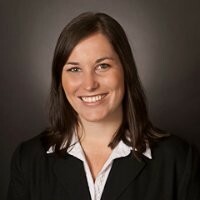 One of the required merit badges, personal management, is notoriously difficult, says Kelsey Balcaitis, community education director at A+ Federal Credit Union ($1.4B, Austin, TX). “The requirements within it are complex and a lot of scout masters don’t know how to teach it,” she says. In 2010, the Boy Scouts Capitol Area Council of Austin asked A+ to create a program to help Scouts earn their personal management badge. Today, the credit union has helped more than 600 boy scouts earn their merit badge and also offers a similar curriculum for area Girl Scouts. In this Q&A, Balcaitis talks about Scout badge requirements, the value of promoting financial literacy to local youth, and best practices in program management. 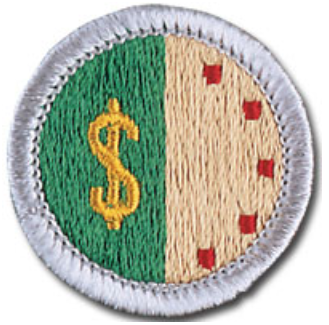 Why is it challenging for Scouts to earn this merit badge? Kelsey Balcaitis: The personal management badge has 10 requirements with multiple pieces under each requirement. The second requirement is the most intense. It requires scouts to maintain a budget for 13 weeks. In addition, they have to learn about smart spending, credit, savings and investing, time management, project management, and careers. How does A+ helps Scouts earn the badge? KB: We have an online class. Scouts attend a series of six webinars across the 13 weeks they’re tracking their budget. After each webinar we have an online classroom where scouts complete a post-event quiz and upload their budgets or other documents for the badge. To help local Boy Scouts earn the personal management badge, A+ FCU offers six webinars and post-event quizzes on which participants must score 100%. Talk more about the quizzes. KB: Scouts must score 100% on each quiz to complete the badge requirement. At the end of the 13 weeks, we look at the grades and determine which of the Scouts have finished all the requirements. We send a letter to the Scout saying they’ve earned the badge, and they take that letter to their troop to get the badge. They need a certain grade, but we give them multiple chances and help them to get there. Since 2010, we’ve helped more than 600 scouts earn the badge. It’s become one of the most popular things we do. How did A+ get involved with the Girl Scouts? KB: The Girl Scouts came to us in 2015 to partner on a college and career program. They have a financial literacy patch, but it doesn’t have anything to do with college and career. A+ created a custom patch for area Girl Scouts called "Investing in my Future," to help young girls plan for college and beyond. We created booklets that are available on the Girl Scouts of Central Texas website that girls can complete to earn a custom A+ patch called “Investing in my Future.” In the summer, we run one-day boot camps for Girl Scouts to learn about finances and complete an interactive spending and saving simulation. We’ve worked with 100 Girl Scouts so far. Why is the Boy Scout curriculum online, whereas Girl Scouts receive more in-person education? KB: It’s easier to reach a wider range of Boy Scouts if the curriculum is online. We’re central to Austin, but we work with Scouts who are 50 miles or more outside the city. It would be challenging for them to drive into the city every few weeks to take a class like this. Putting it online allows us to serve outer Scout troops that might not have been able to make it in person. We can also increase the number of scouts per session, from 35-40 to 50-60. We did try an online class for the Girl Scouts, but that didn’t work as well. One reason could be that the patch isn’t required like the personal management badge is required to achieve Eagle Scout. What’s the value of promoting financial literacy to local youth? KB: I liken it to physical health. When adults come in with financial issues, it’s financial triage. We’re there to figure out how to quickly stop the bleeding. Whereas with youth, it’s about wellness. We’re building up good habits. We’re teaching them to be smart with their money, what good debt versus bad debt is, and how to build their credit before they hurt it. It’s better for our community and our credit union if we have financially savvy members. They are going to be the ones saving, borrowing responsibly, and paying back their loans in the years to come. Investing in youth financial education and youth financial literacy is critical for the success of the credit union. Have you received any feedback as to the value of these classes and badges? KB: We have parents who tell us this has been the best badge they’ve participated in. They’ll listen along to the webinars, and they’ll tell us they learned something. That’s important because many of the parents don’t feel comfortable talking to their kids about it. We can help start a discussion and work through different financial topics. Plus, the fact that we have a waitlist for our merit badge program and we fill up every single session every single time speaks to how people find it valuable. What lessons has A+ learned from this? KB: The best way to teach anything is to constantly look for ways to evolve your program. Just because your curriculum works one time doesn’t mean it’s going to work the same way forever. You have to be willing to make changes on the fly, understand who your audience is, and see the best way to teach them. Offering classes online is an interesting way to go about it. Not having participants in front of you removes some of that ability. Do they understand the material? Do they need more explanation? We learned to explain things in multiple ways and encourage any and all questions. Great job A+ FCU! Practical financial management is missing from most youth education; you're filling a much needed gap. As a Wood Badge trained scout leader, and the father of an Eagle Scout, I applaud your accomplishments so valuable to our youth.